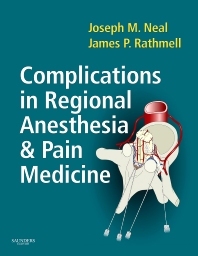 This single-source reference addresses complications related to the practice of regional anesthesia and pain medicine. Chapters are written by a world authority on each specific complication and are evidence-based from an extensive literature search. Each chapter is constructed to follow a defined approach to the problem to ensure inclusiveness of evidence, clarity, and consistency.